The Indian Academy, Karnaprayag district Chamoli is established under the patronage of The Indian Academy, Dehradun which was set up in the year 2009 in the capital of Uttarakhand. For the past decade, the school has been continuously strengthening the society’s foundation i.e. our students, for the continued progress of the country. The school provides an international level of education so that the children can easily overcome every challenge in their future. With the principle of Knowledge and Wisdom, the students in the school enjoy learning in both Hindi and English and hence enjoy a POSITIVE AND MEANINGFUL RELATIONSHIP WITH LEARNING. The Indian Academy, Karnaprayag campus established in the year 2019 is set amidst beautiful tree canopied mountains and the confluence of the Alaknanda, and the Pindar rivers, which flows out from the Nanda Devi glacier. 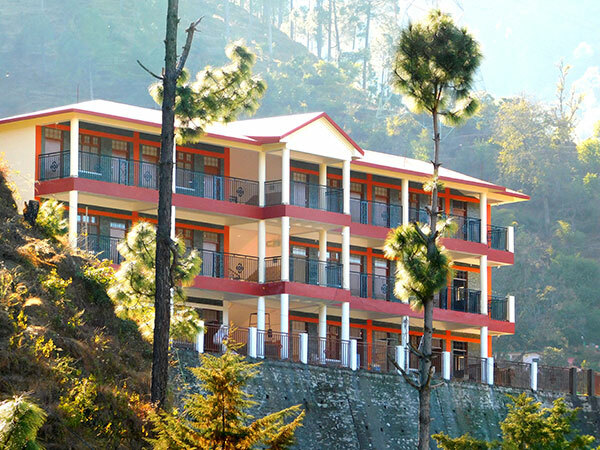 The school is situated in the surroundings of a hilly town and the nearby shrines of Uttarakhand. It radiates positive energy, nestled in a beautiful valley with a breathtaking view of the snow-capped mountains. It gives a sense of belonging to the pupils who learn here and encourages them to tackle their challenges. This, in turn, helps them in their personal development and equips them to uplift society. The school buildings and the playfields occupy an extensive area of land. The magnificent school buildings are well designed and safe. The school provides hygienic care and also a healthy and clean environment for the students. We aspire to develop an intellectual, creative, practical and co-operative school community which celebrates learning and inspire the students to develop a passion to contribute towards the society and leave the community and world better than they found it. The school aims at providing quality education and brings out the strength of character, a spirit of philanthropy, and enables the students to stand on their own feet in the society. In a classroom full of children you have different learning styles and different personalities, different ways of taking in information and giving information. What makes the school unique is the special attention and care that is given to each child. The art of learning is promoted and the students are kept engrossed in entertaining activities so that the children can learn in an amiable environment. We provide child-centred classrooms and keep the students engaged. The classrooms are full of zeal and inquisitiveness to learn. At The Indian Academy we have a happy blend of discipline and traditions and, at the same time, a continuous human interaction which is one of the most special qualities of our school. The curriculum provides practical, intellectual, and observational learning opportunities which enable the students to implement their classroom learning in the real world. We provide well qualified and professional teachers. Moreover, to avoid any kind of limitation in academics as well as for the holistic development of the students, the school ensures updated training of the teachers from time to time.